Today we welcomed a new team member, Karoline Friedl. She will be in the lab thanks to a collaboration with French startup Abbelight, and will help develop and test new super-resolution modalities for our projects. Welcome Karoline! We hosted Pedro Pereira, Ricardo Henriques’ lab alumni now at ITQB Nova in Lisbon, for a week of intense experiments. Pedro taught us DNA-PAINT antibody coupling with great success! Thanks a lot for spending time with us despite the flu… We also said goodby to Master’s student Solène and Florian, hoping to see them again soon! We all said goodbye to Nikki who finished her Master’s internship at the end of July. Nikki is a great student, and she managed to get a PhD position in the lab of Ruud Toonen at the Center for Neurogenomics and Cognitive Research in Amsterdam. Good luck for this new adventure! We had the chance of having Dominic Bingham, currently a Master’s student in Alison Twelvetree’s lab in Sheffield, apply for a PhD in the lab through the “Integrative and Clinical Neuroscience” PhD program. Congratulation to Dominic who succeeded to be one of the three laureates this year! We can’t wait to have him the lab where he will study the organization of presynaptic actin. Thanks also to the Aix-Marseille University A*MIDEX which is funding the PhD program. Nikki van Bommel, a Master student from the University of Amsterdam (UvA), has joined the team for a 6-month internship, supported by an A*MIDEX fellowship. She previously worked with Joachim Goedhart (@joachimgoedhart) at UvA and wanted to learn how to do super-resolution microscopy. She will sure get plenty of training with us! After having worked in the lab for its M1 and M2 master internships, today we’re happy to welcome Angélique Jimenez in the team as an assistant engineer. 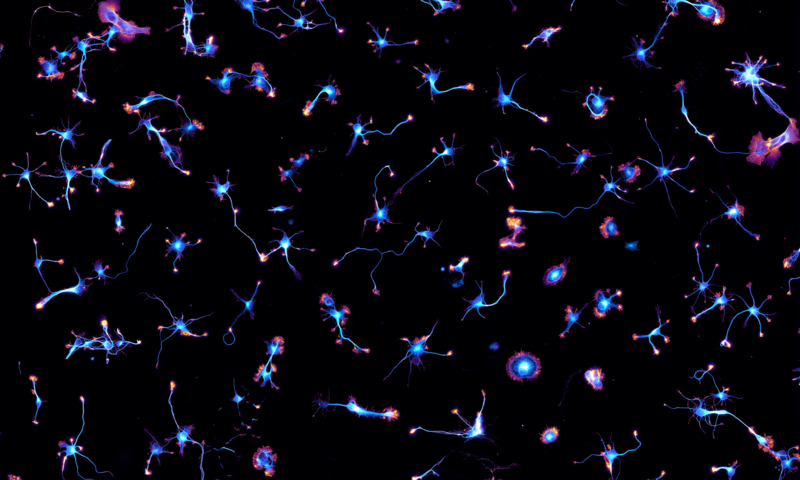 Angélique will work on various project, including bridging live-cell imaging with super-resolution microscopy to study axonal actin. Fanny Boroni-Rueda, an Aix-Marseille University technician, has joined the lab today. She will bring her “magic touch” for neuronal culture and much more!